Efficient energy metering and management is a key concern that continues to challenge companies across the world. Rising energy costs have forced them to make better use of building automation, metering, data acquisition and processing systems to track consumption, wastage and demand at a granular level and optimise energy utilisation. Many organisations are now exploring new alternatives such as distributed energy resources (DERs) to address their growing energy needs. ISO 50001 is an international standard that offers a comprehensive framework to setup, apply maintain and enhance the effectiveness of Energy Management Systems (EnMSs) on a continuous basis. Based on the Deming Cycle, the framework requires organisations to carefully plan and strategise their energy management efforts before implementing them and improving energy efficiency, until energy targets are achieved. The objectives or targets of an energy management initiative must first be finalised before embarking on action. It is important to decide what an organisation or utility service provider wishes to accomplish using energy data from metering systems and then address the question of how best to achieve the intended results. Benchmarks and KPIs are two critical aspects that determine the success of energy management initiatives. Knowing what to measure and compare is as important as knowing the goal the company has set out to achieve. Energy benchmarks serve as a standard against which energy efficiency of a given site/location is compared. These can either be energy data from the same site (usually historical) or other external sites or locations with similar functions and sizes. Key performance indicators, on the other hand, are specific parameters that help measure energy efficiency. These are directly mapped to energy data collected by the different metering systems on site. KPIs usually are site-specific and vary based on the size and function of the location. Defining the right KPIs, therefore, is important to get a clear picture of energy demand, supply and consumption at a given site. For example, data centres typically will be interested in tracking power usage effectiveness, cooling efficiency, UPS efficiency and use, and energy efficiency of servers. Monitoring the density of light, efficiencies of fans, heating/cooling systems, pumps, etc. seem more relevant in residential/office buildings. Facility managers are usually adept at determining site-specific KPIs. However, for those who need assistance, answering a few simple questions and working forward from actual energy consumption data often helps identify relevant KPIs without much difficulty. This can be done in just a few steps. What are the site-specific general and significant energy uses? Significant energy uses such as HVACs, gas-based heaters/boilers, lighting, heavy equipment/machinery, production plants/lines are key points that need close monitoring and control for effective energy management. What factors drive or influence energy use? Energy consumption tends to vary based on several factors such as floor area or expanse of the site, occupancy or use of site, the number of machines or production units in a manufacturing facility, external weather conditions, etc. How much energy does each of factors demand? Is it possible to control them? If at all, then how? Is it possible/necessary to meter energy consumption? Meters for lighting (kWhs), gas consumption (MMBtu), production lines and HVAC use (MWhs) are available to individually measure each SEU. What performance indicators to monitor to track each SEU? Energy used or energy costs per unit of production is widely used in manufacturing facilities. Energy used for lighting per unit of occupancy. Total energy consumption for floor area. HVAC energy/degree days (based on external weather conditions). Are there any guidelines or recommended best practices for energy management?How are others with similar site size and function implementing energy management? Which other locations can serve as benchmarks? How has internal energy performance improved over time? What is the internal baseline against which current performance should be compared? Answers to these and other relevant site-specific queries automatically will pave the way for clear, achievable, and realistic energy efficiency goals to work towards. Technological advancements now facilitate data-driven decisions, making it easier for decision makers to base their actions on real-time data readily available via the cloud. 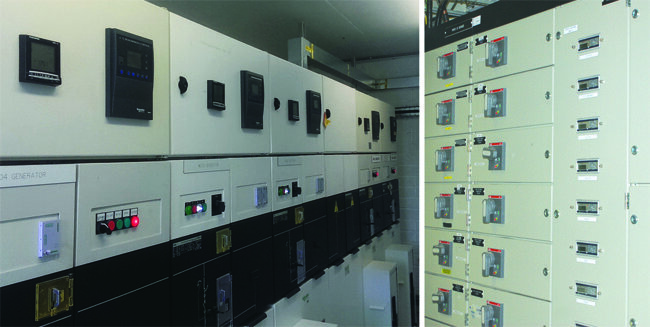 With energy management goals, KPIs and benchmarks in place, it is possible to map hardware units to automated systems and enterprise software and suitably use the metering infrastructure and sensors to gather and analyse energy data, monitor and control consumption, identify and minimise waste and improve the energy efficiency of a specific site/location. Guided by the ISO 50001 framework, companies will be able to address their specific energy concerns in an effective manner. For further information contact us on 057 866 2162 or email us here.